Yesterday we took a drive up to Old Forge with hopes of doing some snowshoeing. Unfortunately the snow depth was not sufficient. So the snowshoes stayed in the truck while we bare-booted it up Rocky Mountain. 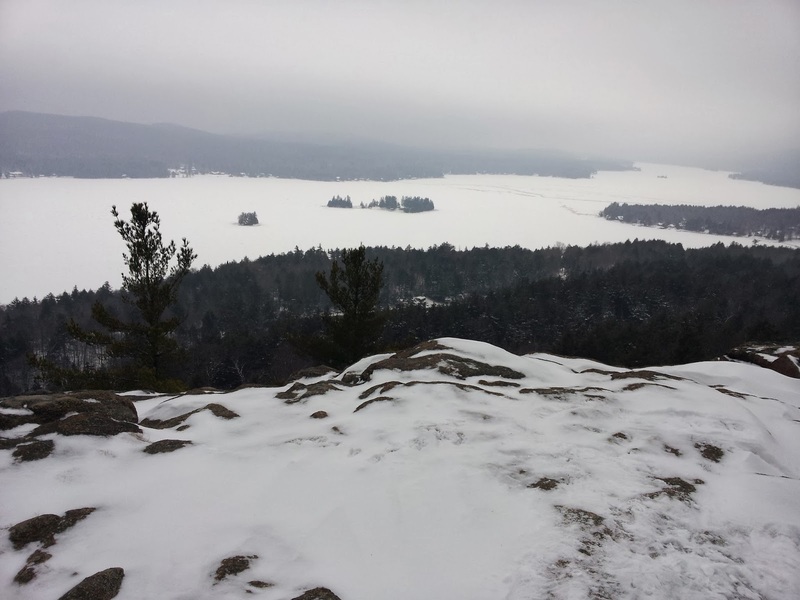 It is a short (1 mile round trip), easy hike with broad views from the summit. We've both climbed it before, although this was my first ascent in winter. 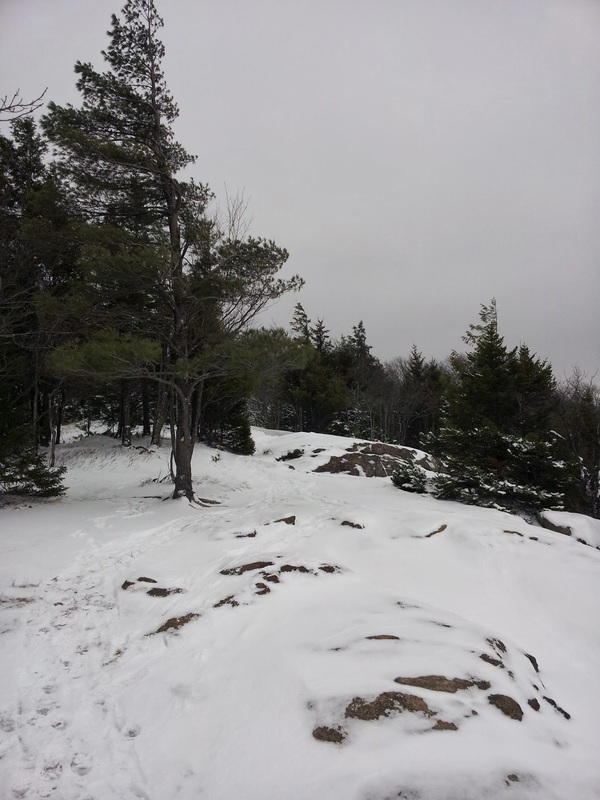 It was an unusually mild day with temperatures above freezing at the trailhead. There was absolutely no wind until we reached the summit, where it was misting and blowing pretty hard. This is no High Peak, but it is a fun little jaunt. Lovely views, wish I could have been there. Unfortunately, my fibro has been VERY bad lately--just walking is difficult enough. 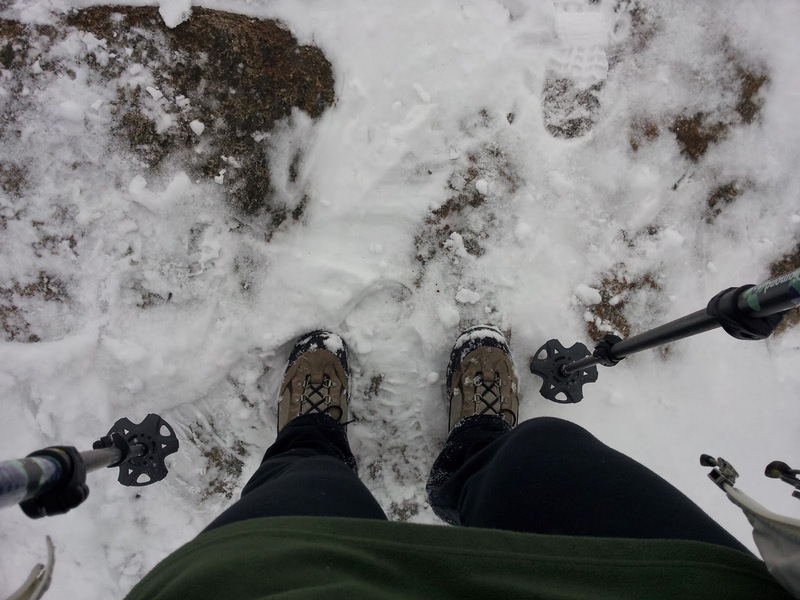 I used to love winter hiking. Did a fair bit of it. Sorry to hear your fibro has been extra bad lately. 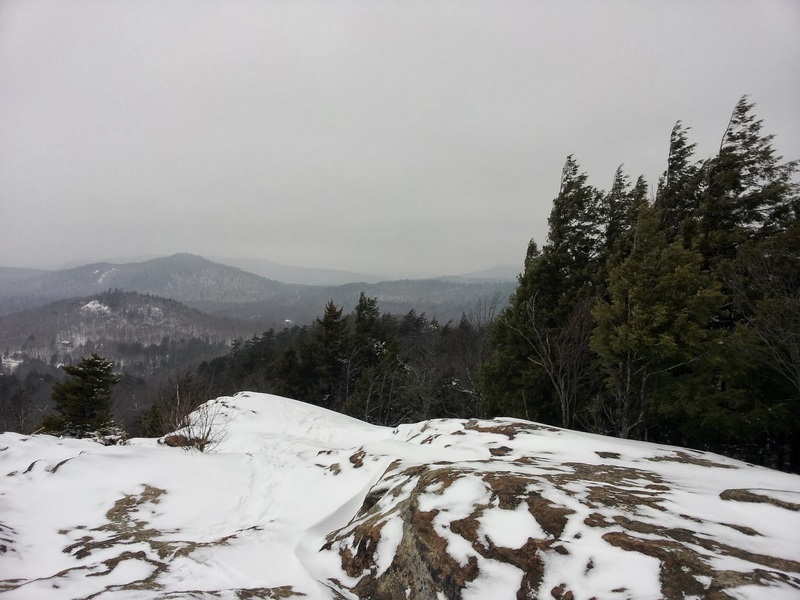 I think I might enjoy winter hiking if it was always in the lower 30s. Ha!